Origen returned to the spotlight with a run to the LEC Spring Split finals but when the team was at its lowest, it looked to RFRSH and Astralis for inspiration. With two world championship finals and one title under his belt, Team Liquid support Jo "CoreJJ" Yong-in was unflappable in his team's reverse-sweep victory in the LCS spring final. 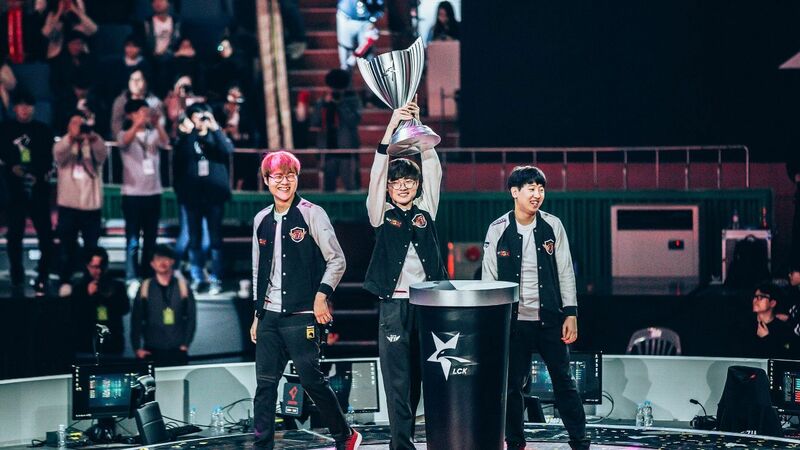 Tyler Erzberger breaks down all the League of Legends matches happening Saturday, with champions being crowned around the world -- from Faker winning a seventh title in South Korea to Team Liquid getting a three-peat in North America. Fnatic didn't have a pretty start in the spring split of the LEC, but some big changes turned the squad around. Faker used to be in Chovy's shoes: younger, more hyped up, part of an up-and-coming team. But Faker has experience, and Chovy? Well, he's just a bump in Faker's way. Harris Blitzer Sports & Entertainment, parent company of the 76ers and Dignitas, has agreed to acquire a majority stake in League of Legends team Clutch Gaming from the Houston Rockets, according to documents obtained by ESPN.